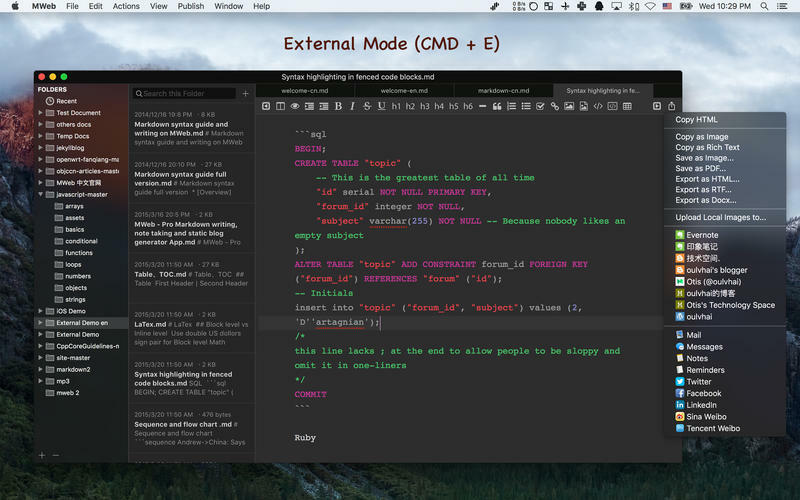 MWeb can handle professional-level markdown with support for markdown extensions. It provides publishing to various social networks and blogging formats, as well as various preview themes. 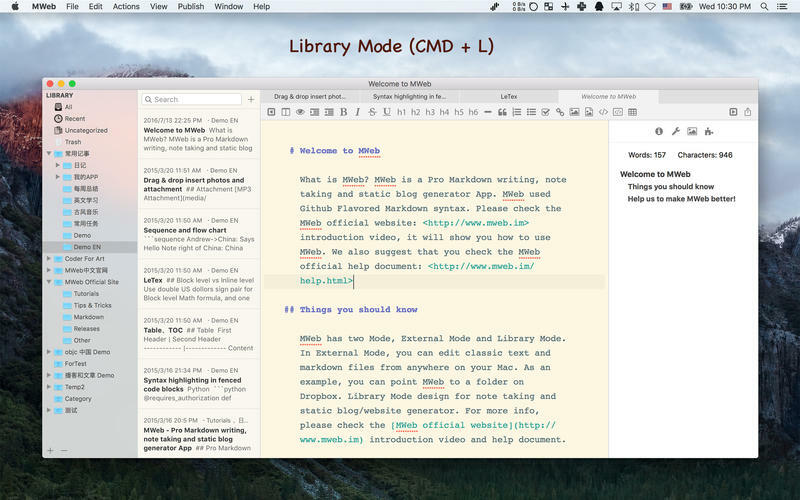 It also has two work modes: external, which allows the addition of external folders; and library, designed for note-taking and static blogging. Publish/Update to Wordpress, Metaweblog API services, Wordpress.com, Evernote, Blogger, Tumblr. 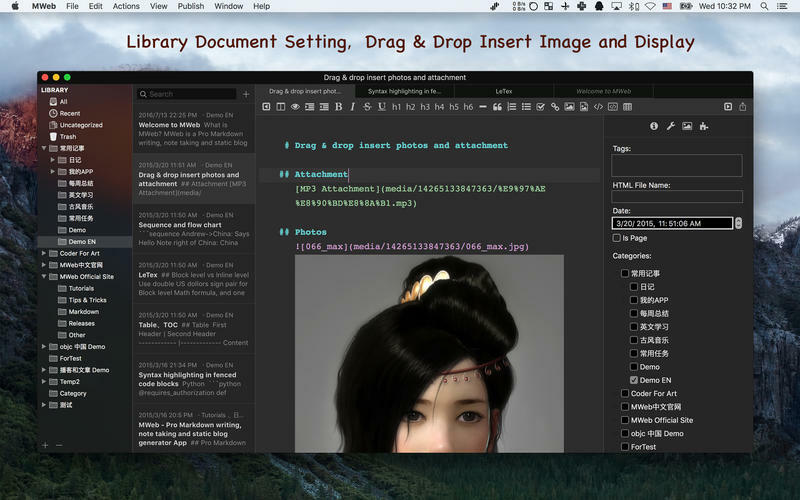 Drag-and-drop or paste to insert pictrue and display immediately. Fix the Library categories and documents can't drag & drop for sort.